6 pairs of new Flashing Night Ice LED Earrings! 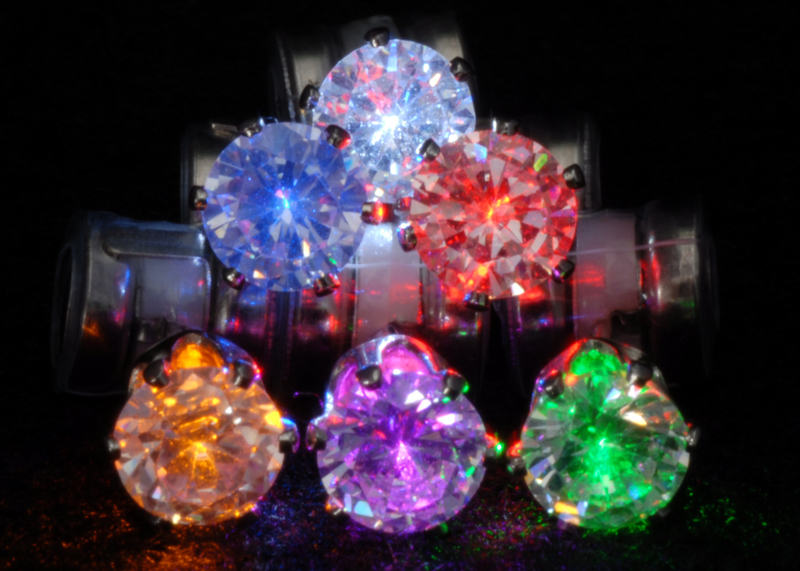 Flashing Night Ice light up earrings project positivity and come in the same 6 vivid colors as Original Night Ice. Collect the whole set of new Night Ice Flashers, and light up the party! New Night Ice flashers start with a brilliant crystal stone. Add batteries and LED light flashes on and off through your crystal earrings! Wear new Night Ice flashers as sparkling crystal earrings during the day. Then turn on the flashing LED light at night! The new flashers flash when you want them to. Glow in the dark earrings are perfect for concerts, parties and sporting events. Light up the room and meet new friends. The reaction to Night Ice earrings is ubiquitous. Everywhere you go people smile and ask where you found such a brilliant and fun inventions. From my friends at www.Night-Ice.com you say! Use promo code 415 for 10% off. 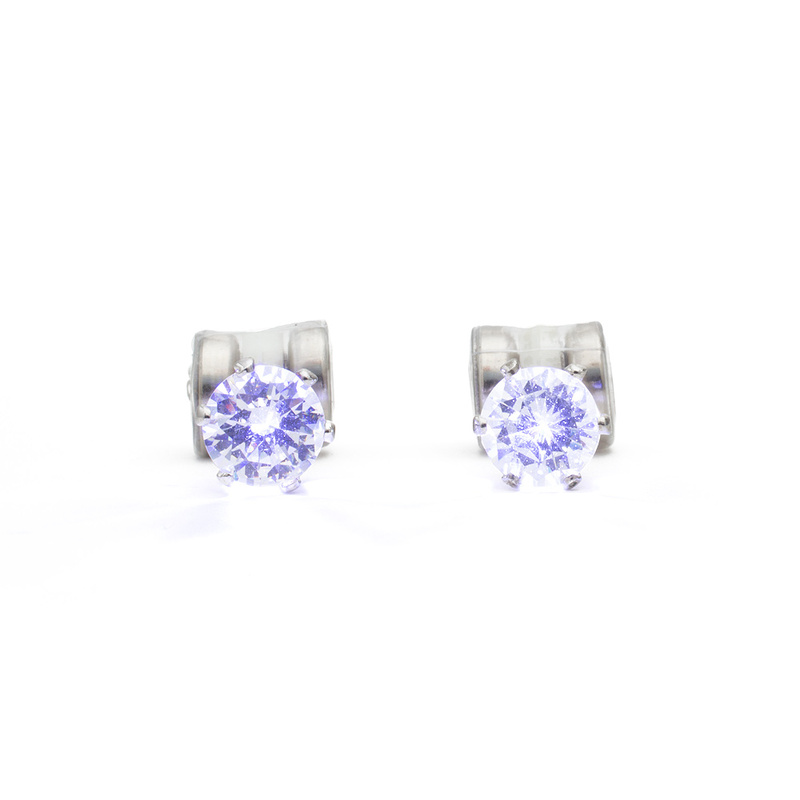 Night Ice LED earrings are perfect gifts for people of all ages! The complete set of new Night Ice FLASHERS! 1 pair of each color. You can't fade the whole set! Lace up all your friends. Blue, red, green, purple, gold, and classic white. You'll be strapped with light up earrings for every jubilant occasion. Represent your favorite sports team. Get crazy for the Super Bowl! LED earrings make perfect gifts and party favors! LED earrings project positivity and make people feel good. Hit the on button and then hit the dance floor! You'll light up the party while keeping it extremely real. Glow in the dark earrings are hater proof. Wear your flashing Night Ice earrings as sparkling crystals without the batteries. Then light them up when it's party time! Light up earrings are party and dance floor essentials. Pop a bottle! Each pair of light up earrings comes with 2 pairs of batteries. Batteries last over 50 hours! Check out the blues and the purples in action! Glow in the dark jewelry is next generation bling. Get your shine on. It feels good! With the complete set you can represent any team or school! There's nothing better for championship games. LED earrings make perfect gifts for rabid sports fans and they're unbeatable at ballgames. They've worked for the Giants! Light up earrings match everything and give you super powers like those crazy magnetic necklaces and bracelets. Feel the power. Shine the light. Add more lights to your party! Sport red, white and blue to represent your country! Yeah! Wear Flashing Night Ice LED earrings as dazzling crystals during the day, and then light them up at night. 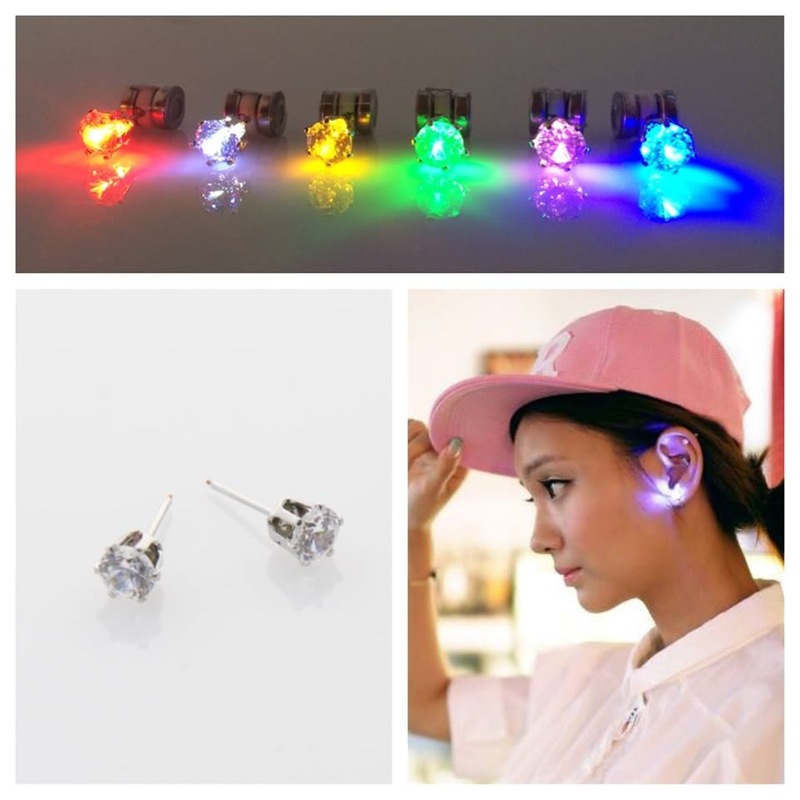 LED crystal earrings will increase your swag. They're great for strike up conversations and meeting new people. Flashing Night Ice crystal LED earrings come in 6 brilliant colors; sapphire blue, red, green, purple, yellow, and classic white. To turn on your flashing LED earrings, just press the battery tighter onto the back of the earring. They have one light up function which is a speedy flash; just loosen the batteries to switch the light off when it's time to chill! Every glowing girl needs a pair of equally glowing earrings. Night Ice crystal LED earrings are guaranteed to make any guy or girl a beacon of light in a sea of darkness. 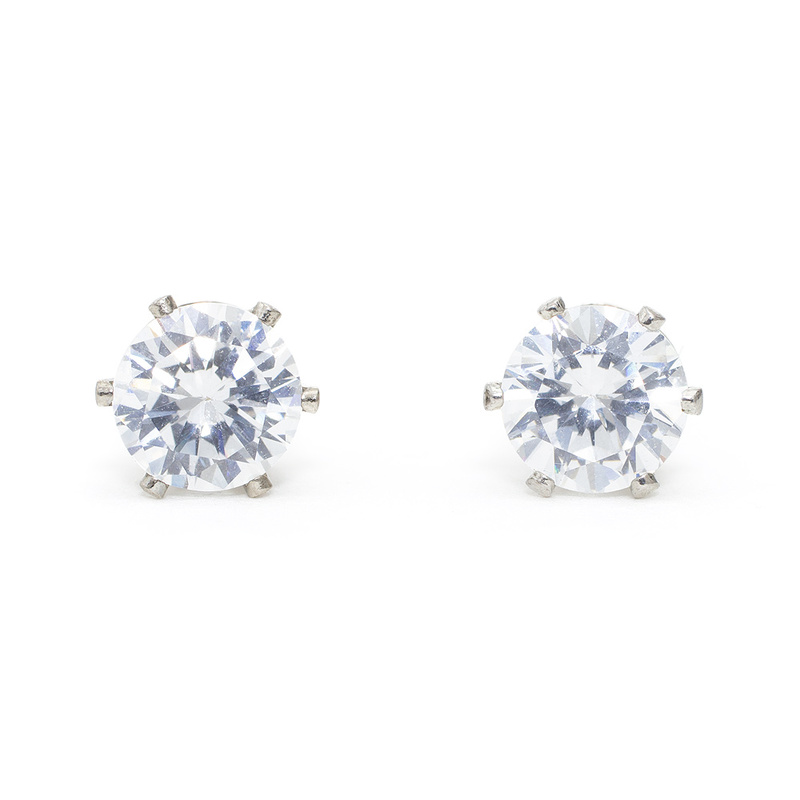 When you want to go undercover, wear the rubber backs and your Night Ice will appear as simple sparkling crystal studs. 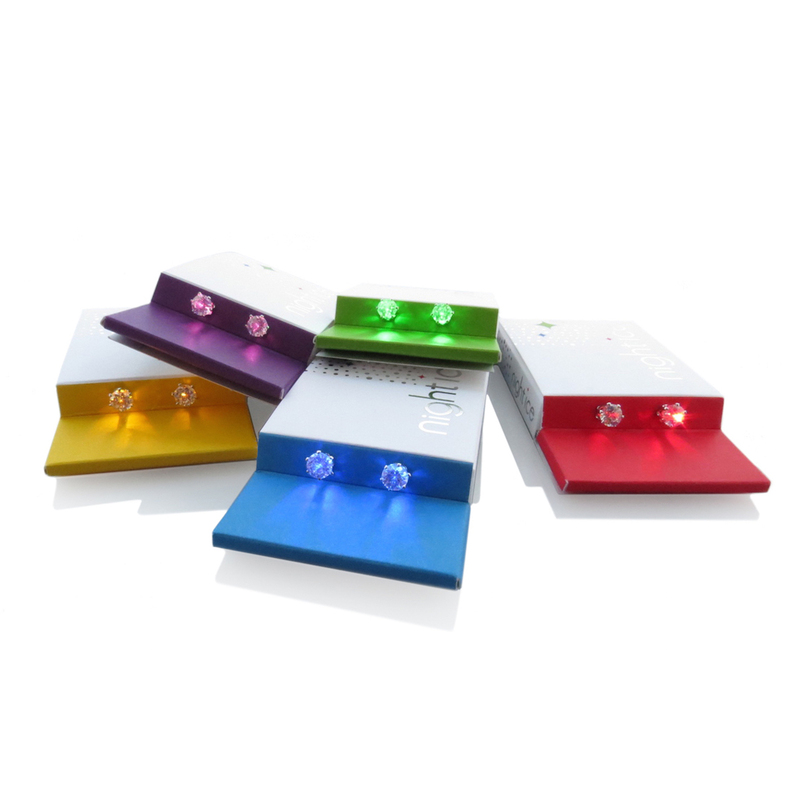 Change to the battery backs and the super-bright LEDs will flash and shine and light up any room.